Copacabana Square in Rio de Janeiro, Brazil was renamed after late Israeli war criminal Shimon Peres during a ceremony in the seaside city on Friday. Rio de Janeiro Mayor Marcelo Crivella and heads of the local Jewish community in Brazil attended the ceremony, which honoured one of the most savage bloodsuckers in the world. The move was initiated by Israel’s honorary consul in Rio de Janeiro, Osias Wurman, and city councilman Marcelo Arar. However, the fact is that Peres was a member of the Zionist Jewish gang of Haganah, which among other extremist and savage Jewish groups, carried out savage massacres before, during and after 1948 against the Palestinians. He later on became an MK and then served in 12 Israeli governments along his political life. Then, he served as Israel’s president for seven years until 2014. In 1996, he ordered shelling Lebanese refugees taking refuge in a UN compound and killed at least 106 civilians and wounded hundreds others including children and women. The list of Peres’ crimes is too long, but what is mentioned here is enough to tell the Brazilian that they committed a mistake when they believed that Peres was a man of peace. PALESTINOW.COM — The UAE Representative Office in Palestine has been overseeing the implementation of two Ramadan projects since the beginning of the Holy Month. The ‘Food Basket’ project is funded by the Khalifa Bin Zayed Al Nahyan Foundation, and ‘Iftar Project’ is provided by Sharjah Charity International. According to a statement from the Office, 6,000 food parcels will be distributed in the Palestinian territories among the poor and needy families under the food basket project, whereas under the Iftar Project 15,000 meals will be provided throughout the Holy Month, in cooperation with charitable associations, centres and popular committees in the tents and the Palestine Zakat Fund. The projects show the strong relations between the UAE and Palestinian peoples and also reflects humanitarian image of the Khalifa Foundation and the Sharjah Charity. Tunis – The Tunisian authorities have given all charity organizations in the country a month to submit a statement on the foreign donations and grants that they receive. The Tunisian government of Prime Minister Yousef Chahed is seeking through this measure to crack down on the suspicious activities of several of these groups. It will also resort to the central bank and finance ministry to inspect the financial accounts of the organizations. The Interior Ministry has meanwhile been tasked with monitoring any suspicious acts, especially in regards to funding terrorism. The organizations are obligated to submit their data to the government before the July 10 deadline. The Tunisian government decision is taking place simultaneously with a campaign it is waging against businessmen and smugglers who had been accused of corruption. The government estimates that around 20,000 charities operate in the country. Seventy percent of them were formed after 2011. In 2014, only 200 organizations disclosed the sources of their financing. The government for its part only grants minimal funding for these groups. HEBRON (Ma’an) — Israeli forces detained at least 13 Palestinians during raids in the southern occupied West Bank between Saturday night and Sunday morning.According to a statement from the Palestinian Prisoner’s Society (PPS), Israeli forces detained four Palestinian men from al-Arrub refugee camp in the Hebron district, identified as Fathi al-Badawi, 26, his 23-year-old brother Tariq al-Badawi, Ammar Hanayin Jawabra, 28, and Ali Ribhi al-Badawi, 38.Local sources told Ma’an that during the raid into the camp, two 15-year-old boys, Muhammad Jawabra and Qusay Wael al-Badawi, were also detained.Witnesses said that Israeli forces were stationed on rooftops of several homes in al-Arrub throughout the raid, and that clashes broke between locals and Israeli soldiers who fired tear gas and rubber-coated steel bullets at residents.Locals sources said that Israeli forces also raided a number of homes in the Hebron-area town of Surif and detained Khalid Ahmad Arar and Omar Muhammad Ghneimat.Israeli forces also raided Hebron’s Old City on Saturday and detained 14-year-old Hani Dana, after his family house was raided, locals reported.An Israeli army spokesperson told Ma’an that four additional Palestinians were detained in the Bethlehem area during overnight raids, and said she was looking into reports of detentions in the Hebron district.Israeli raids in Palestinian towns, villages, and refugee camps are a daily occurrence in the occupied West Bank, including East Jerusalem. 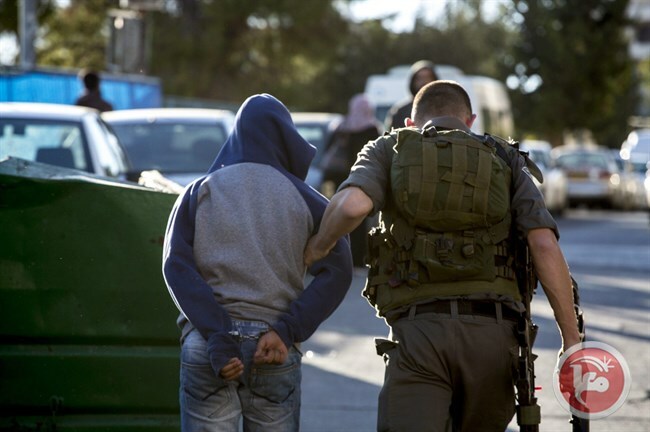 According to prisoners rights group Addameer, 6,200 Palestinians were detained by Israel as of May, 300 of whom were under 18 years old. The Palestinian Commission for Detainees’ and Ex-Detainees’ Affairs has revealed that many prisoners have suffered serious physical and mental health symptoms as a result of their participation in the recent prolonged hunger strike and their exposure to punitive measures and maltreatment at the hands of Israeli jailers. According to the commission, one of those prisoners, for examples, has suffered severe psychological problems, including serious hallucinations and insomnia. In a statement, head of the commission Issa Qaraqea held the Israeli government and its prison service fully responsible for the serious health conditions that have afflicted hundreds of prisoners who went on hunger strike for 41 days recently to demand basic rights. 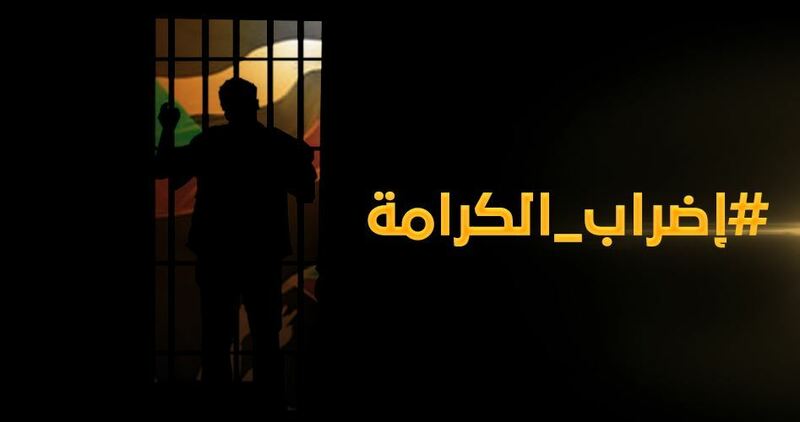 Qaraqea affirmed that the prisoners had been exposed, during their hunger strike, to brutal suppressive measures, which worsened their health suffering considerably. The Palestinian official appealed to the Red Cross to delegate doctors to visit those prisoners and provide them with medical tests and assistance, especially since many of them are believed to have suffered brain damage. Israeli cabinet approved on Sunday bill proposal to deduct salaries of Palestinian prisoners, freed prisoners from PA’s deposits. The bill was proposed by the Israeli MK Elazar Stern from Yesh Atid and signed by the Likud MKs David Bitan and Avi Dichter. The Israeli Prime Minister Benjamin Netanyahu announced on Sunday that he had told US Ambassador to the UN Nikki Haley that the UN should consider shutting down operations of its Relief and Works Agency for Palestine Refugees in the Near East (UNRWA). “Therefore, the time has come to dismantle UNRWA and merge its components with the [UN] High Commissioner for Refugees,” the premier added. UNRWA, among other UN bodies, have been the subject of considerable pressure by Israel in recent months. 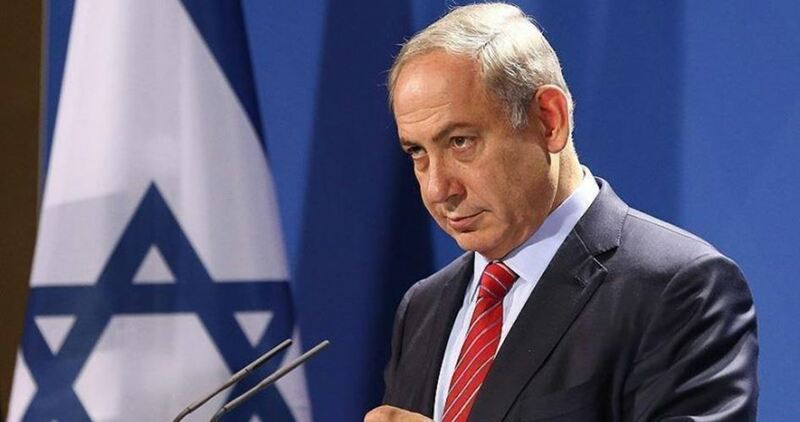 On Friday, Israel called on the UN to “strongly and unequivocally condemn Hamas” and formally classify the group a “terrorist organization”. 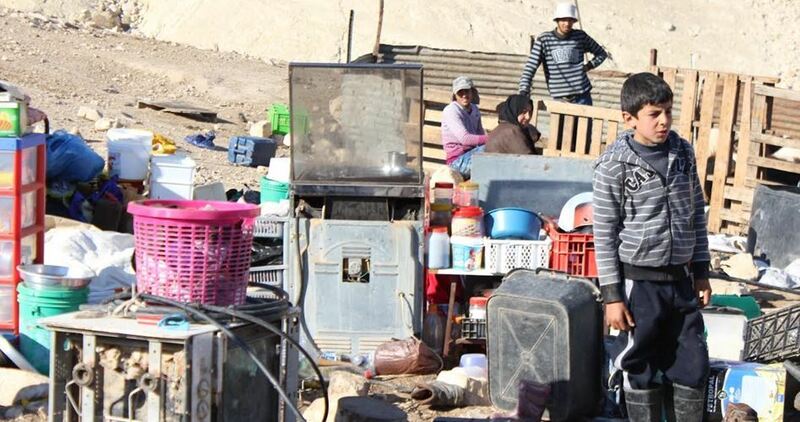 The Israeli occupation forces stormed the northern Jordan Valley and ordered Palestinians to stop construction of homes and residential caravans. A PIC news correspondent quoted human rights sources as stating that the Israeli army delivered stop-construction orders targeting civilian structures and caravans donated by international relief institutions in al-Faroush and Himsa al-Tahta, in the northern Jordan Valley. The Palestinian locals appealed to the concerned human rights institutions and international bodies to rally round them and to speak up for their right to housing. DOHA, PALESTINOW.COM — Qatari Foreign Minister Mohammed bin Abdul Rahman Al Thani said the Arab countries consider Hamas a resistance movement. Hamas is not listed in the Gulf Cooperation Council’s terrorism lists even though it is listed in the US list of terrorist groups, he said, adding that relations with Hamas is not a charge. In an interview with Russia Today during a visit he paid to Moscow on Saturday, the Qatari Minister denounced accusing Qatar of supporting Hamas Movement. Israeli navy ships attacked, Sunday, many Palestinian fishing boats, and farmers, in the northern and southern parts of the besieged Gaza Strip, causing damage. Media sources in Gaza said the navy fired dozens of live rounds at the fishing boats, close to the shore in northern Gaza, forcing the fishermen back to the shore in fear of further Israeli assaults and escalation. In addition, the soldiers, stationed in military towers across the border fence, east of Khan Younis in the southern part of the Gaza Strip, fired many live rounds at Palestinian farmers, working on their own lands, close to the border fence. The attacks are part of constant Israeli violations against the Palestinians in the improvised coastal region. 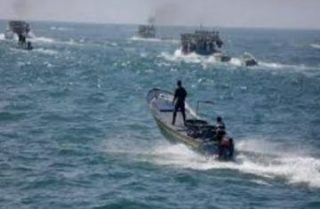 On Monday, May 15 2017, the navy fired many live rounds at Palestinian fishing boats, less than four nautical miles from the Gaza shore, killing a fisherman, identified as Mohammad Majed Bakr, 25. On Friday, June 9 2017, the soldiers killed one Palestinian, identified as Aa’ed Khamis Jom’a, 35, and injured at ten others, after the army attacked dozens of protesters, in Palestinian lands, near the border fence east of Jabalia, in the northern part of the Gaza Strip.